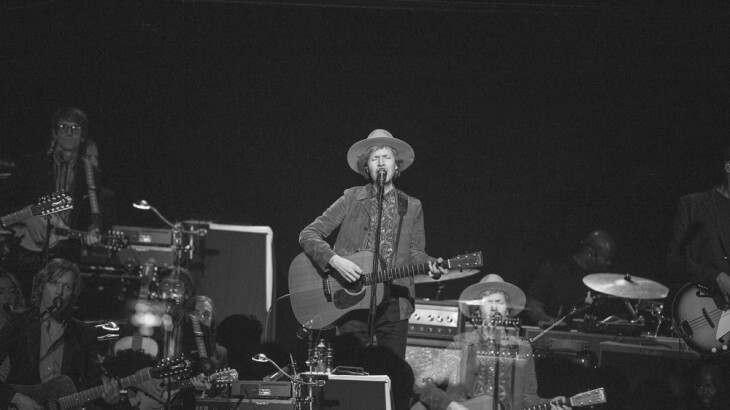 With much glee, Beck’s first trip to Australia in five years was adorned by the news that he would be appearing at an intimate gig in Sydney – his only other headline show in the city ahead of his spot at the inaugural Sydney City Limits festival. The Factory Theatre in Marrickville played host to the special affair; a one and a half hour set that touched on all eras of his vast catalogue, and then some. 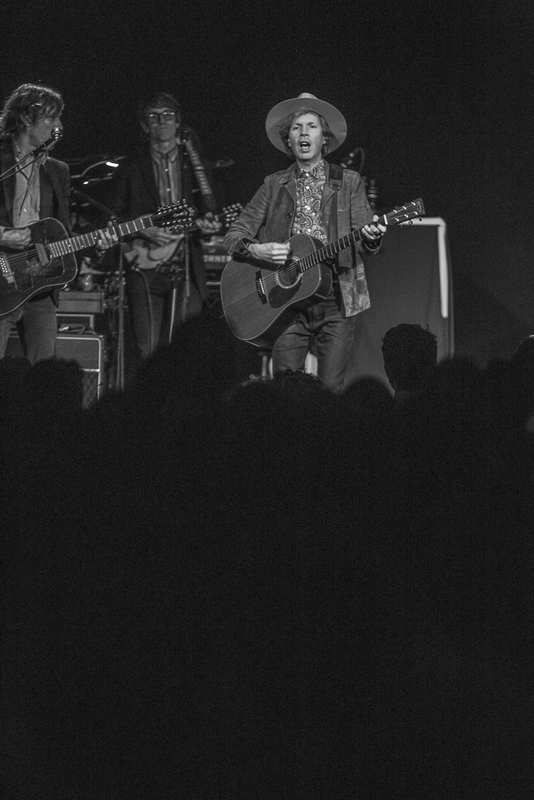 That whimsical spontaneity that Beck honed in his formative days is something he clearly still carries with him. The entire show was built on an air of offhandedness, and with about only 500 people in attendance, it truly was a glittering night. He broke in the evening with a solo quip of Everybody’s Got to Learn Sometime before his seven-piece band joined him on stage for some more country-esque ditties, a little “Colonel Sanders” as he put it. Once we’d brined through a quarter of his slower paced Morning Phase LP, Devil’s Haircut and Black Tambourine had the crowd hankering for the fry up. 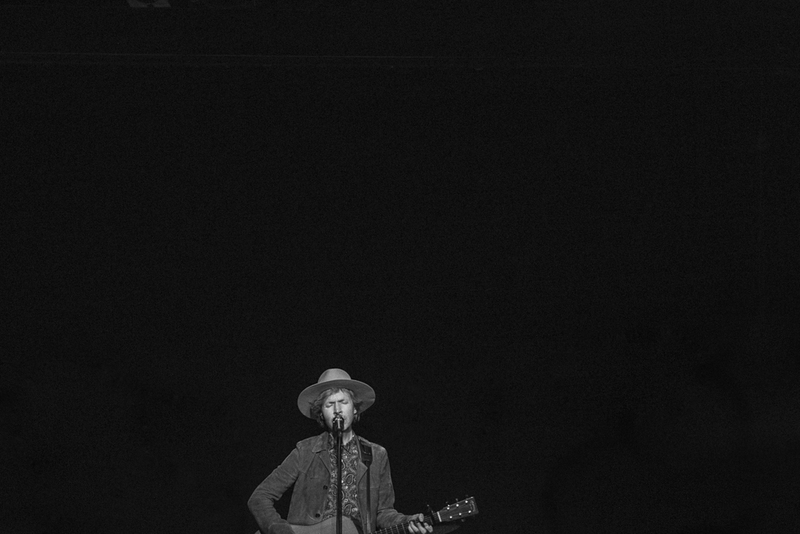 Like his iconic genre bending, the setlist jumped back and forth between originals, covers and albums. Think I’m In Love melted into a brief rendition of Donna Summer’s I Feel Love before some more fleeting moments from Odelay and Guero. He also took what moments he could in between tunes to showcase his light humour and considerable wit. Privileged. 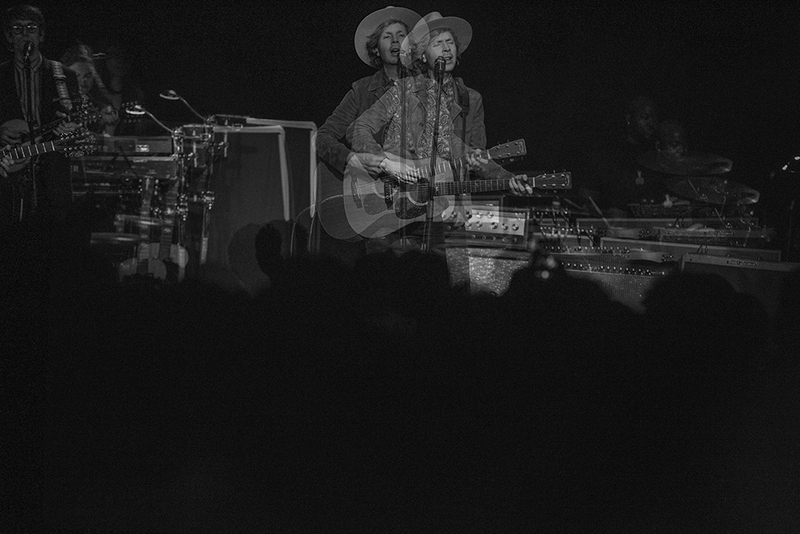 Thank you, Beck. Please move to Sydney at your earliest convenience. 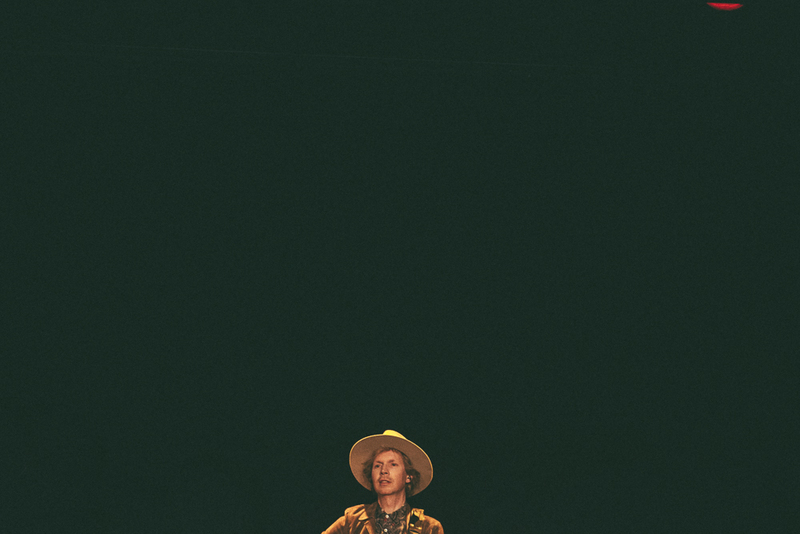 Beck is also playing the Royal Theatre in Canberra, February 26, and Margaret Court Arena in Melbourne, February 28. 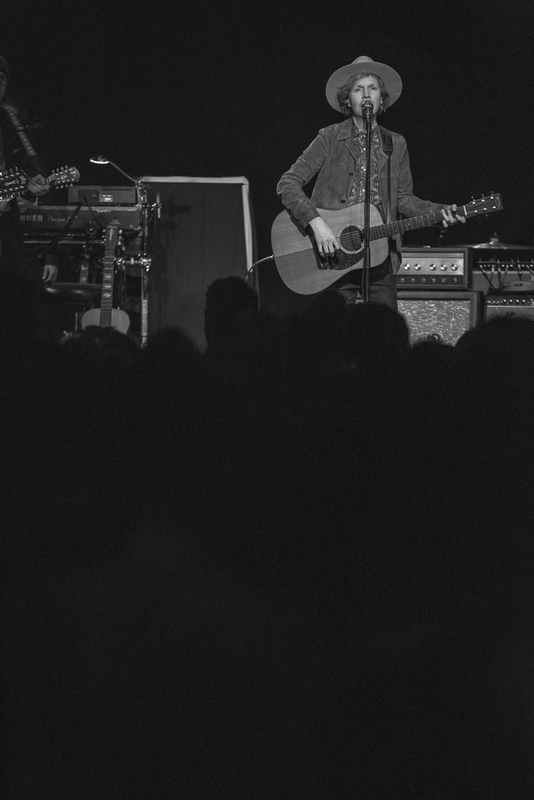 Live Photography Beck, Sydney City Limits. permalink.